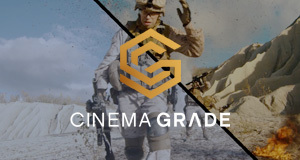 Are you ready to be amazing at color grading? Want to achieve the major motion picture look? The Motion Picture Film LUTs allow you to accurately create the big motion picture film look. Get the authentic look of Hollywood film. NEW revolutionary color grading plugin that was recently used on Oscar-winning live action short film “Skin” that sets filmmakers apart WITHOUT getting stuck in confusing software. Want to do professional color grading in Final Cut Pro X? Color Finale is the most popular color grading plugin for FCP X and has been used on a major motion picture.